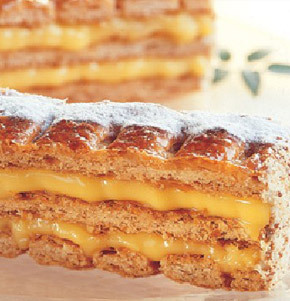 Classic Austrian Apple Strudel. 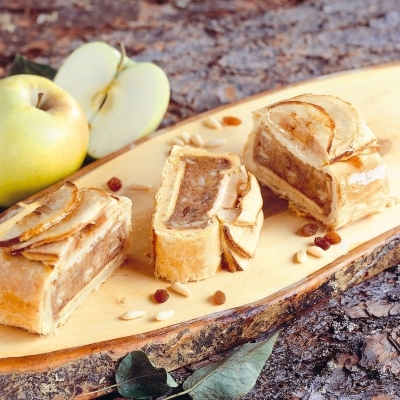 A blend of apples, raisins and spices, all enveloped in a puff pastry and decorated with glazed sliced apples. 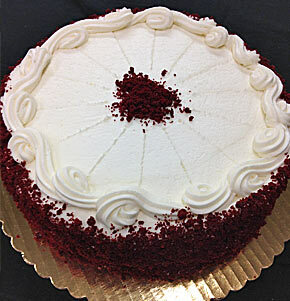 Layered red chocolate cake with buttercream filling and frosting, decorated with red velvet cookie crumbs. 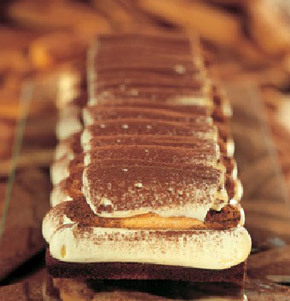 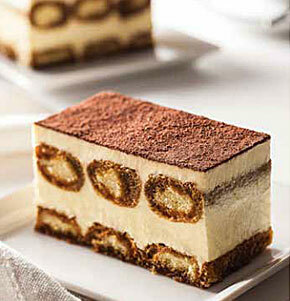 Mascarpone cream on a sponge base covered by a row of espresso drenched ladyfingers, topped with waves of mascarpone and dusted with cocoa powder. 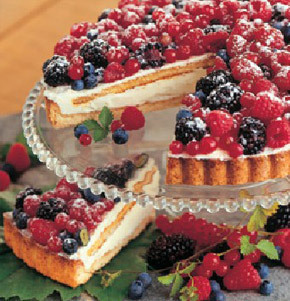 Short pastry base filled with Chantilly cream, topped with a layer of sponge cake and lavishly garnished with an assortment of berries: blackberries, blueberries, raspberries, red currants and strawberries. 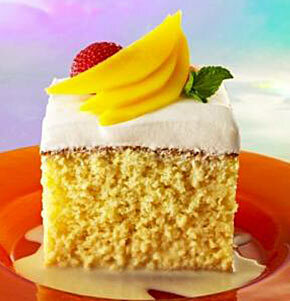 A rich, tender sponge cake, delicately soaked in three luscious milks, then covered with a white satiny creamed topping. 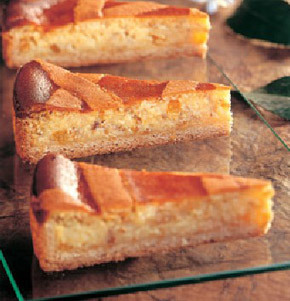 Crisp layers of puff pastry filled with pastry cream and decorated with powdered sugar. 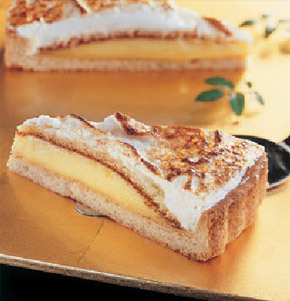 Short pastry base filled with a refreshing lemon cream and topped with a golden baked meringue. 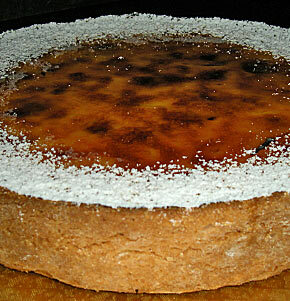 Rich Custard on top a butter tart shell with brittle top crust of caramelized sugar. 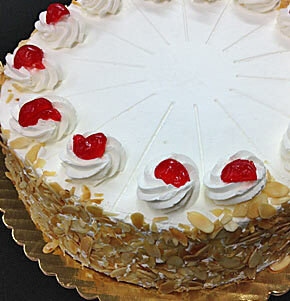 Rum moistened vanilla cake with vanilla and chocolate custard filling, whipped cream, toasted almonds and topped with glazed red cherries. 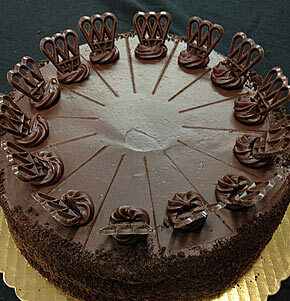 Rich dark chocolate fudge cake moistened with coffee syrup and filled with chocolate mousse. 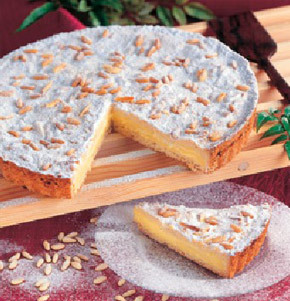 The classic Neapolitan cake: short pastry base filled with a blend of ricotta cheese, wheat and candied fruit.